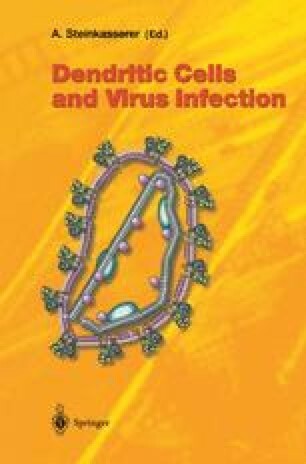 The dendritic cell (DC)-specific HIV-1 receptor DC-SIGN plays a key-role in the dissemination of HIV-1 by DCs. DC-SIGN captures HIV-1 at sites of entry, enabling its transport to lymphoid tissues, where DC-SIGN efficiently transmits low amounts of HIV-1 to T cells. The expression pattern of DC-SIGN in mucosal tissue, lymph nodes, placenta and blood suggests a function for DC-SIGN in both horizontal and vertical transmission of HIV-1. Moreover, the efficiency of DC-SIGN+ blood DC to transmit HIV-1 to T cells supports a role in HIV-1 transmission via blood. To date, DC-SIGN represents a novel class of HIV-1 receptor, because it does not allow viral infection but binds HIV-1 and enhances its infection of T cells in trans. Its unique function is further underscored by its restricted expression on DCs. Although DC-SIGN is a C-type lectin with an affinity for carbohydrates exemplified by its interaction with its immunological ligand ICAM-3, recent evidence demonstrates that glycosylation of gp120 is not necessary for its interaction with DC-SIGN. Moreover, mutational analysis demonstrates that the HIV-1 gp120 binding site in DC-SIGN is different from that of ICAM-3. Besides its role in DC-mediated adhesion processes, DC-SIGN also functions as an antigen receptor that captures and internalises antigens for presentation by DC. Strikingly, HIV-1 circumvents processing after binding DC-SIGN and remains infectious for several days after capture. A better understanding of the action of this novel HIV receptor in initial viral infection and subsequent transmission will provide a basis for the design of drugs that inhibit or alter interactions of DC-SIGN with gp120, interfering with HIV-1 dissemination and that may have a therapeutic value in both immunological diseases and/or HIV-1 infections.